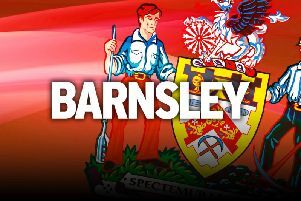 Kieffer Moore is available for Saturday’s FA Cup trip to Premier League strugglers Burnley as Barnsley begin life without Brad Potts. Striker Moore, who has netted 13 goals this season, has missed the last three games though injury. “He is fine, he is back in training. He can play,” assistant head coach Andreas Winkler said. Potts, meanwhile, has opted to leave Oakwell in order to jump up to the Championship with Preston. The club announced the departure of the midfielder, who netted 11 goals in 67 appearances for the Reds, on Thursday evening. They will be without the services of Potts for the first time in Lancashire when they aim to continue their impressive festive-period form, which saw them build a five-match unbeaten run. And Winkler is confident his side will be able to handle the occasion.